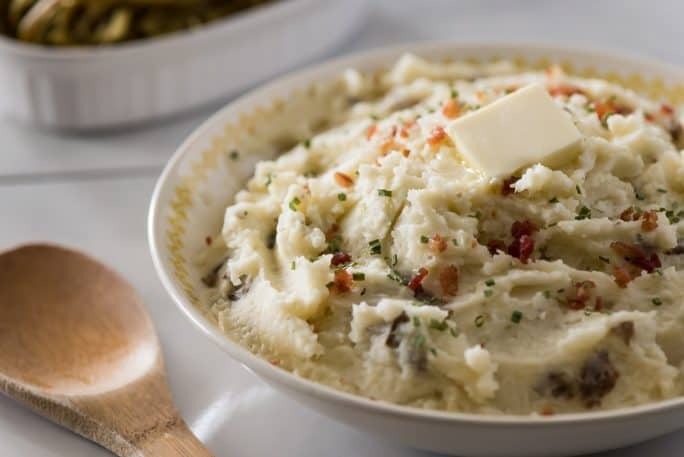 These Homestyle Garlic Herb Mashed Potatoes are a must at every family dinner & holiday celebration! 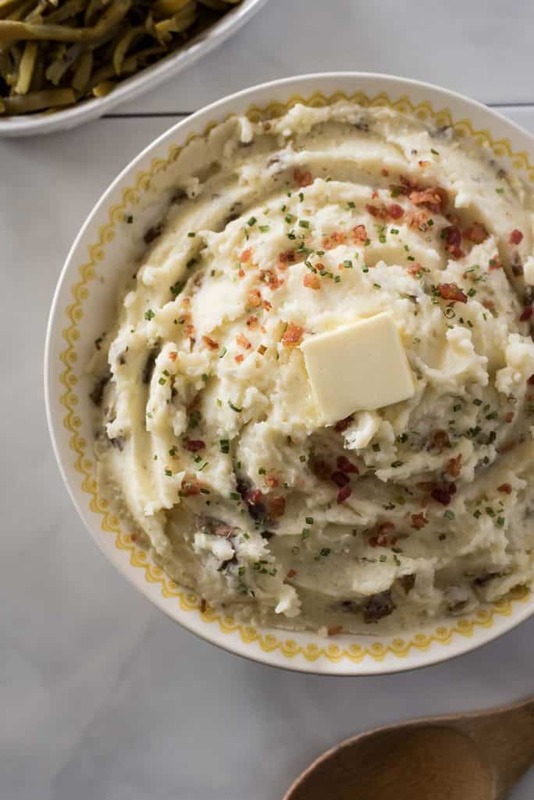 Creamy, buttery, and wonderfully herby, this purely comforting mashed potato recipe is our favorite! 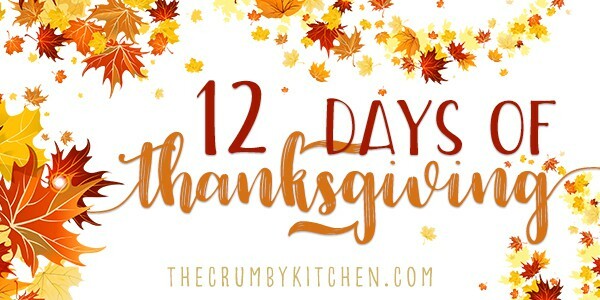 So here’s today’s burning question: What is the ONE Thanksgiving dish that you absolutely must have to make the day complete? To me, there’s really only one thing that is non-negotiable on a holiday table, and that’s a giant bowl of mashed potatoes. 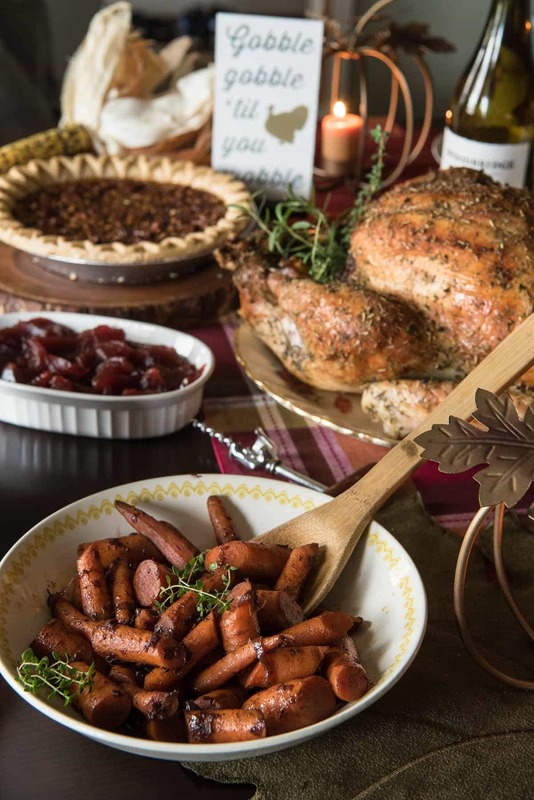 Turkey, ham, roast beef, lamb…it doesn’t matter what protein is the superstar of the day, if there are no buttery, creamy, pulverized Idaho potatoes somewhere in the spread – by God, Houston, we have a problem. I blame my Nana, since with every sit-down, home-cooked meal she made, potatoes were always on the menu. But, at the risk of being wry, these are not my Nana’s potatoes. JUST TAKE ME TO THE GARLIC HERB MASHED POTATOES ALREADY! 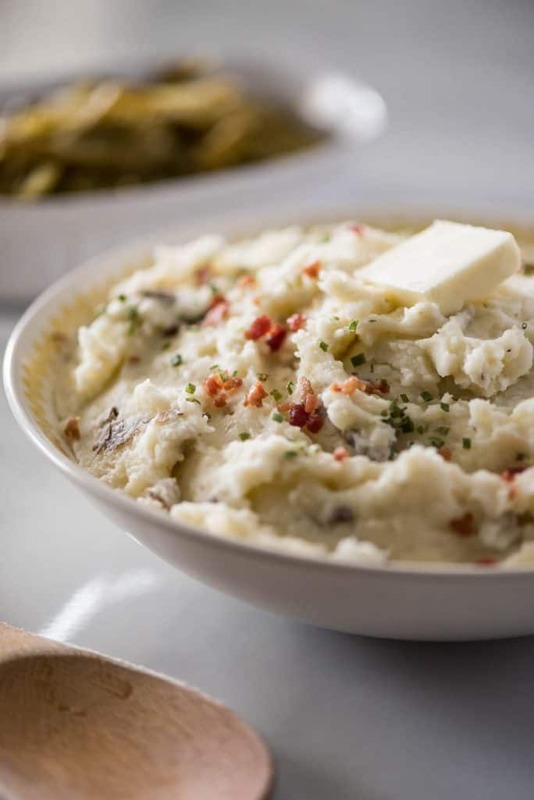 If you’d rather skip my (pretty darn helpful) tips and tricks, essential cooking info, and similar recipe ideas – and get straight to this deliciously easy mashed potatoes recipe, just scroll right on down to the bottom of the page where you can find the printable recipe card! I mean, they are THESE potatoes. Which are just ordinary russet potatoes. 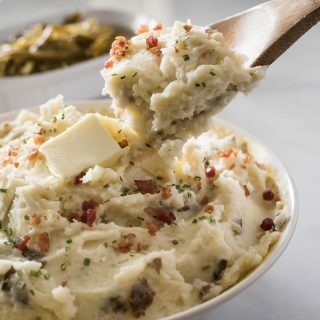 While Nana’s mashed potatoes were always silky smooth, that gorgeous yellowy-white, and buttered to the max (just like these,) my Homestyle Garlic Herb Mashed Potatoes are pumped full of flavors that she was just too traditional to use. Call me lazy if you must, but most of the time, I don’t peel my potatoes. 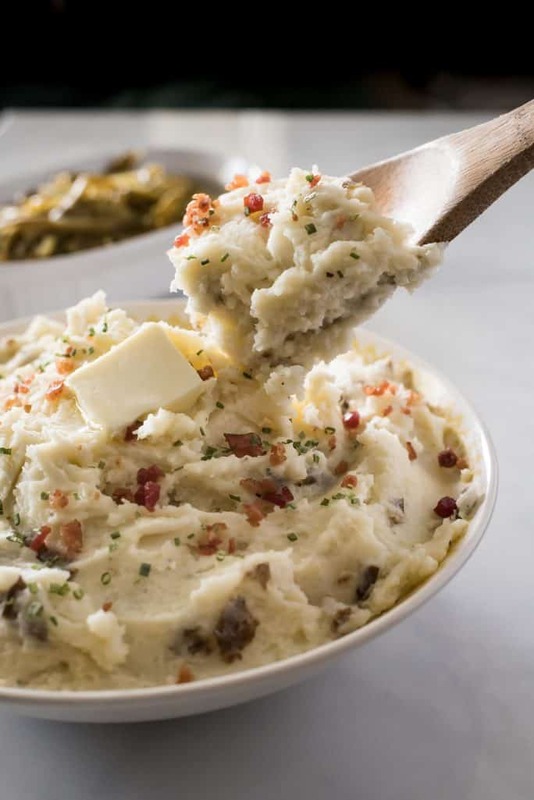 I’m one of those weirdos who eats an entire baked potato, skin and all (especially if it’s salt-crusted, OMG,) so why wouldn’t I want skins in my mashed taters? I can point the finger directly at Abe for this later-in-life development. You say lazy, I say “homestyle.” It’s a much nicer word. As for the garlic? Yeah, for the most part, Nana was not a heavy garlic user. This recipe has 4 cloves (and I mean BIG ones) of the vampire repellant, which equals out to almost a clove per serving. Good thing Halloween is over, Dracula. Herbs were also not her thing, and as much as I really wanted to load this mash up with fresh rosemary and sage, I decided to take it easy. Thanksgiving already has so many herbs going on in the stuffing and the turkey and what have you. Simple oregano and basil goes into these, but they impart such a lovely herb flavor that plays just oh so well with the Parm and the cocktail of dairy that’s in here. As for the bacon? Meh. I just wanted some bacon on top. And the chives were for color, but they sort of complete the baked potato-vibe that these taters apparently have. For the record, I’m really craving a salty loaded baked potato now. Chop potatoes to roughly the same size (if you don't like the skin, peel prior to chopping.) 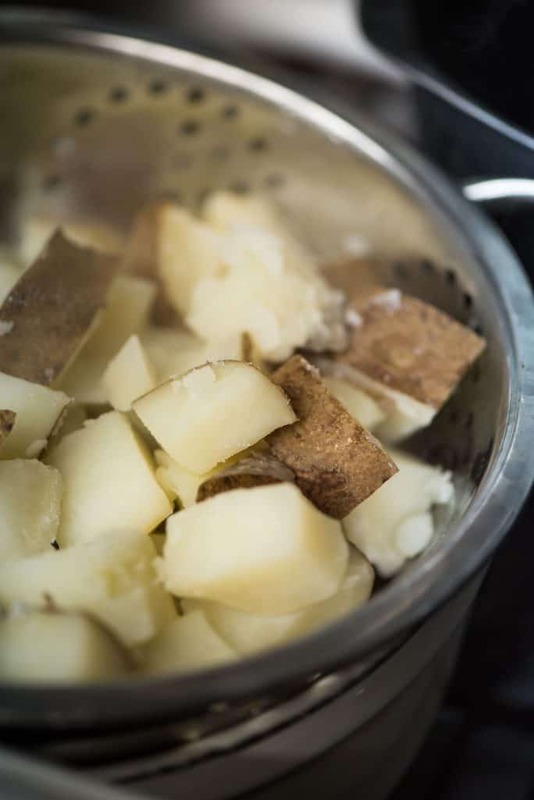 Place the potatoes in a large stock pot of salted water and bring to a boil over medium heat. Boil until potatoes are soft, about 20 minutes. 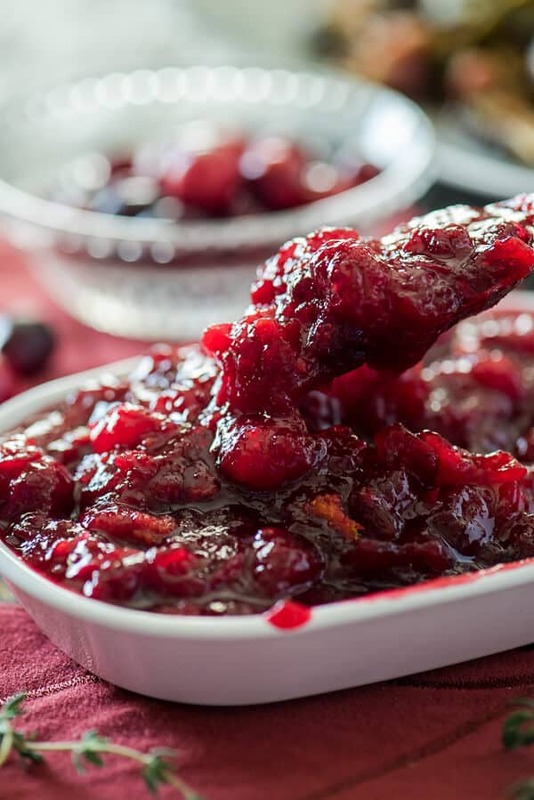 Drain, reserving about 1/4 cup of the starchy water, and place in a large bowl. Return the pot to the stove and add the reserved water, milk, sour cream, butter, and garlic to it. Simmer on medium-low heat until melted and combined. Remove from heat and set aside. Mash the potatoes to a desired consistency, then add the garlic-dairy mixture, Parmesan, herbs, and pepper. Stir to combine, then season with additional salt and pepper to taste. Let stand for 5 minutes to thicken, then garnish with bacon and chives before serving. Still craving potato recipes? 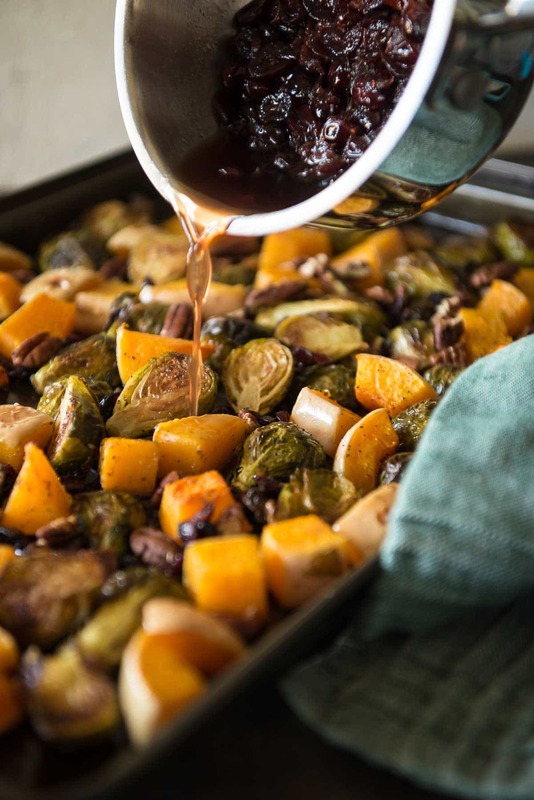 Don’t forget to add these side dishes to your holiday menu, as well!